Africa is a colourful land brimming with an abundance of passion and culture. Embrace this nature by pairing up your vacation with some of the biggest and best events taking place across the continent over the next year. Belly dancers, snake charmers, acrobats, horse riders, actors, singer and musicians from all around come together with their remarkable talents to create the mystical Marrakech Popular Arts Festival. Showcasing all types of Moroccan culture and creating what is considered to be one the best festivals in Marrakech. Often described to be a real life Arabian experience, like nothing you could ever imagine, the hugely exhilarating event attracts a whole host of people to perform their talents or to behold the genius that is laid out before them. For those who enjoy Arabian culture this festival is offers the most enchanting and memorable artists as well as a remarkable spectacle of colour. 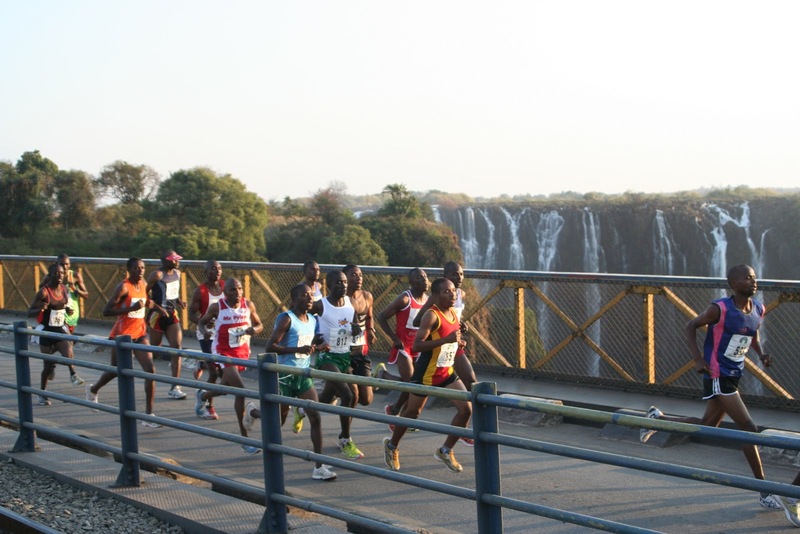 Jogging past one of the most stunning sights in the world, the Victoria Falls marathon it is quite something to take in. Being here allows an opportunity to experience the true beauty of the falls whilst also competing in the 42km marathon. The incredible awe inspiring views from the falls reveal what the largest mass of waterfall in the world looks like. Last year over a thousand people took part in the new event which is open to athletes over 21 years old. The falls are a fascinating place to come and visit whether you intend to just watch the race whilst taking in the scenery or even to participate. Ramadan is a yearly festival, whereby from dawn until sunset, Muslims will refrain from drinking, smoking and eating. By fasting Muslims believe that they will find clarity and to keep them on the right path as stated in the Quran. Eerie and bizarre during the days of Ramadan, the streets are no longer occupied with bustling crowd, as most cafes, bars and restaurants in the cities close and it becomes reminiscent of a ghost- town, but in the evenings these very same places are buzzing with atmosphere with people everywhere, coming together to enjoy the festivities. Ramadan is fascinating and a once in a lifetime experience of which a lucky few will get to take part in as often people will invite visitors to taste the food and experience traditional entertainment. The city will awaken with its rousingly entertaining all night parties, drinking and even parades to entertain the masses of people who come to see the spectacle. The KUSKA (Kuste Karneval) in Namibia is clearly one of the most exciting events around. Food stalls line the streets where many types of local cuisine are served and there is an overwhelming selection on offer to tempt the thirsty. This coastal event in the town of Swakopmund is influenced by the Germans who settle here previously and this buzzing festival is reminiscent of Mardi Gras. Travelling at high speeds, dipping in and out of sand mounds around Cairo and for the big finish, appearing just paces away from the pyramids of Giza, The Pharaons Rally really is one of the most exceptional and exhilarating ways to experience off road rallying whether by spectating or by taking part. Those competing can use a bike, truck or car to travel across the desert countryside and reach top speeds, an exciting experience for any off-roading fans especially in the idyllic setting of the ruins of ancient Egypt. A mass of vibrant outfits can be seen almost everywhere you look during the Hogbetsotso festival, songs are sung and a celebration is had by all. This event aims to bring about spiritual peace and is close to the hearts of many Anlo Ewe people who celebrate the event to pay tribute to the journey which was taken from Togo to their latest home of Ghana. The people of Anlo dance the Borborbor which is an energetic dance with tapping and complex foot work. The event lasts several days and attracts many people worldwide to experience the diversity of this culture. Sports fans from all over the world will be visiting South Africa to see some of the greatest golfers of all time at one of the biggest sporting events in this year’s social calendar. The Tournament of Hope is a charity golfing competition aimed to raise money to give awareness, provide treatments and find preventative measures for aids and HIV. This event was originally aimed to be the World Golf Championship but this status has since been altered to its charity status. This will be the sixth tournament endorsed by the International Federation of by PGA (Professional Golfers' Association) tours. Any golfer would be mad to miss this momentous occasion. Tunisia’s oldest and most renowned celebration, the International Festival of the Sahara merges together singing, dancing, feasting, crafts and camel racing all aid of keeping the countries traditional values alive. The annual four day festival is an event which attracts over 50,000 to people to visit the remote town of Douz and take part in the event which celebrates the traditional way of life the Nomadic people. Commemorating the baptism of Jesus in the river Jordan the Feast of Epiphany is one of the most stimulating Christian events in Ethiopia. Beginning just two weeks after Christmas, the feast entails celebratory bread called ‘himbash’, special beverages; Timket, Tella and Tej and the sacrifice of sheep taking place. The christening by John the Baptist is seen as the presentation of Jesus Christ as the son of God to the world. This event attracts an international audience of Christians and those who just enjoy experiencing other cultures and beliefs. Presenting over 30 artists from around the globe, the Festival au Désert is a three day concert which takes place each year in Mali. The event commemorates the 1996, La Flamme de la Paix (the flame of peace) where 3000 weapons were burnt. Its aim is to bring people together from all over the world to ignite peace, which is part of what makes its endeavour so admirable. Huge stars including Bono have all turned up and rocked the humble stage in the desert style surroundings of Mali. Whilst at the concert you can also experience a range of Tuareg (Nomadic style) music which would add a dash of culture to any trip.